Wouldn’t it be great to have half a grass-fed beef? That’s a lot of delicious protein! 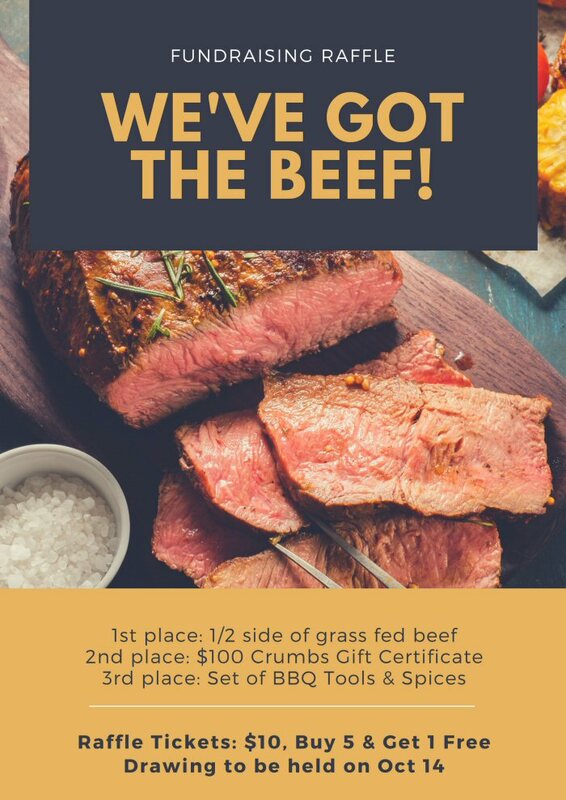 Well, it just so happens that Word of Life Assembly of God Church (WOLA) is raffling off a one half side of grass fed beef. Any one can buy as many raffle tickets as they would like. Just stop by WOLA Monday through Thursday from 9 a.m-5 p.m. or come to Sunday morning service at 10 a.m. and talk to Kathy Newton after the service. Tickets are $10 each or 6 for $50. The drawing will be held October 14. First place prize is the half beef. Second place is a $100 gift certivicate for Crumbs Restaurant. Third place is a set of barbecue tools and spices.